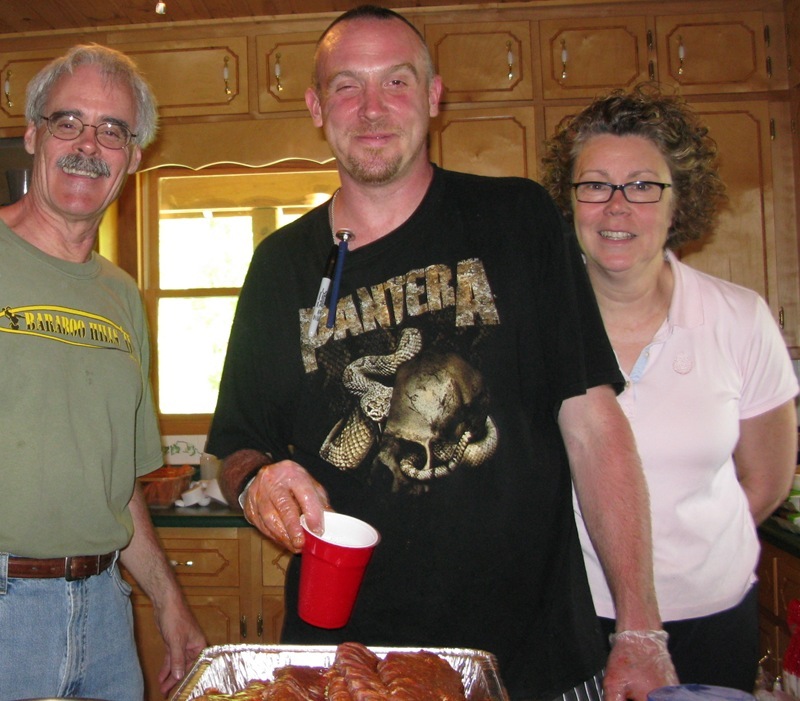 In about 30 minutes, we’re having a big BBQ for the FIM ‘dignitaries’ with all the fixin’s. These are the folks (fellow Minnesotans) who spent most of the day preparing the food. 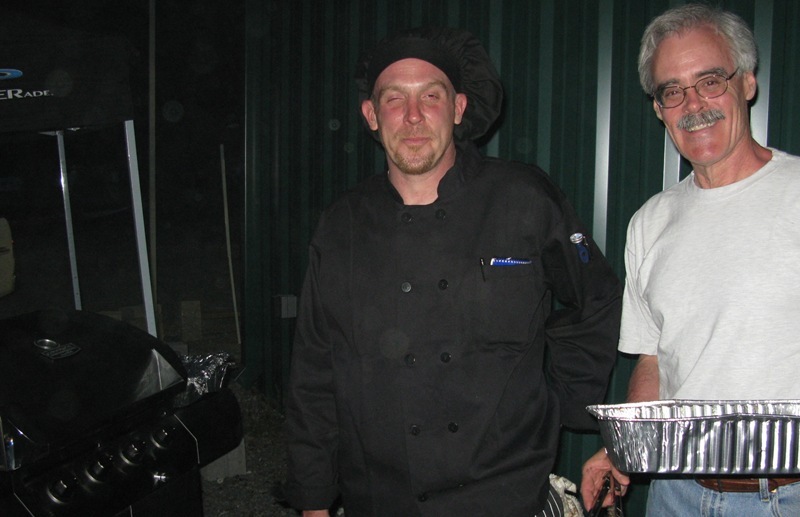 Left: Mike O’Donnell, head chef Shaun O’Donnell, and Karen Garrett. Right: Shaun and his pappy!